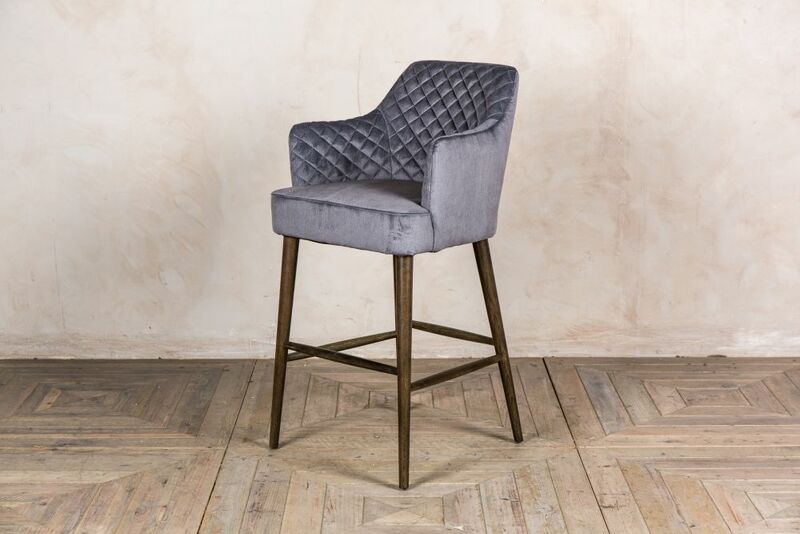 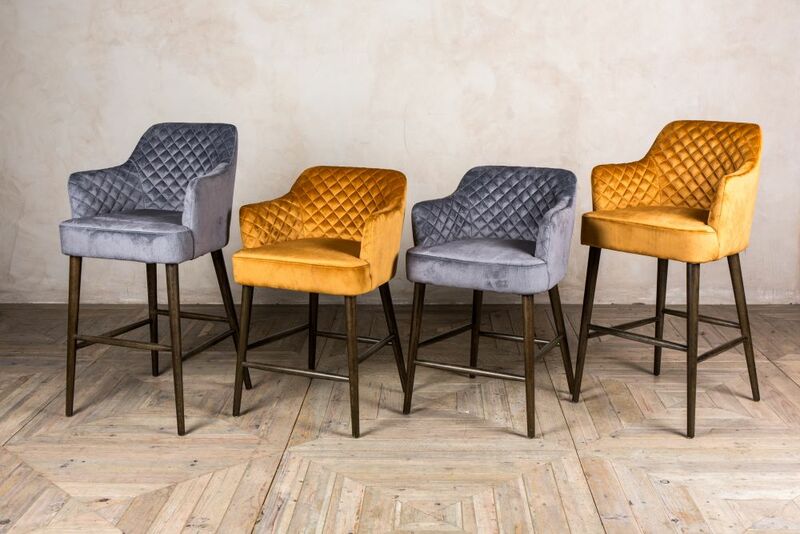 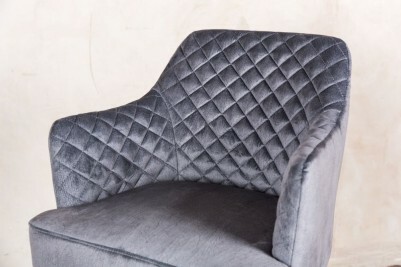 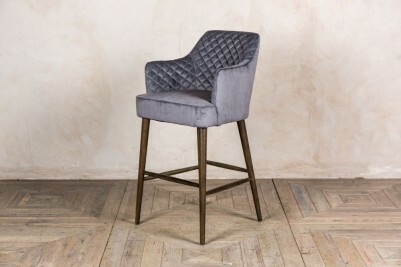 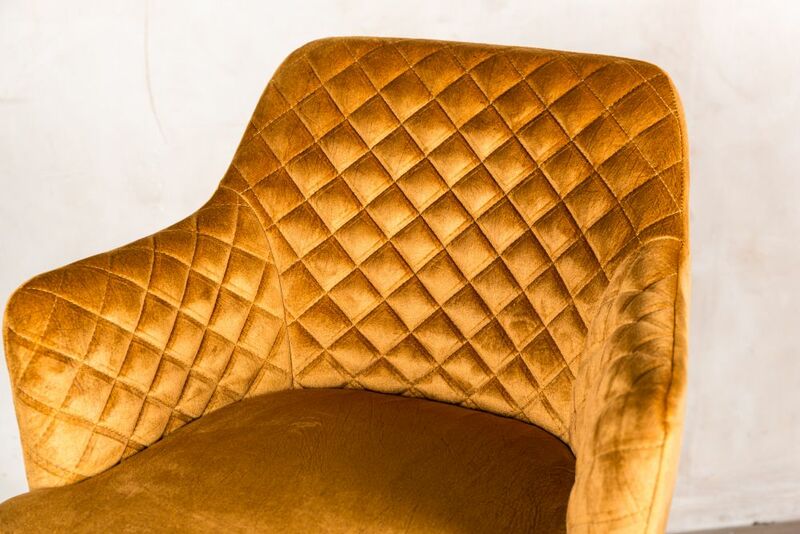 The ‘Rouen’ quilted bar stools are ideal for homes, bars and restaurants. 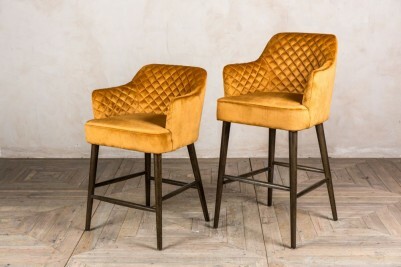 They are available in two heights, so can be used at a breakfast bar, kitchen island, or bar table. 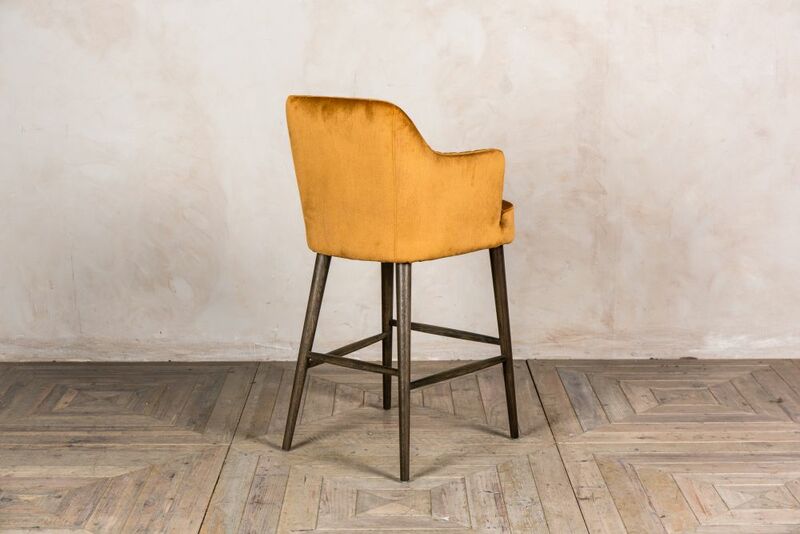 The ‘Rouen’ comes in ochre or pebble grey velvet, and features stunning diamond stitching on the back. The velvet upholstery is similar to suede, in that the pile is not as deep as regular velvet, and it has the contours and features of leather. 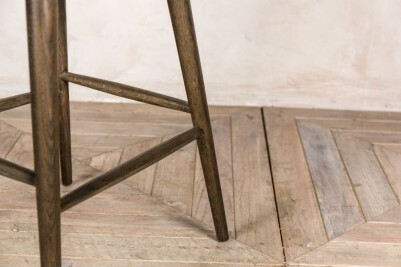 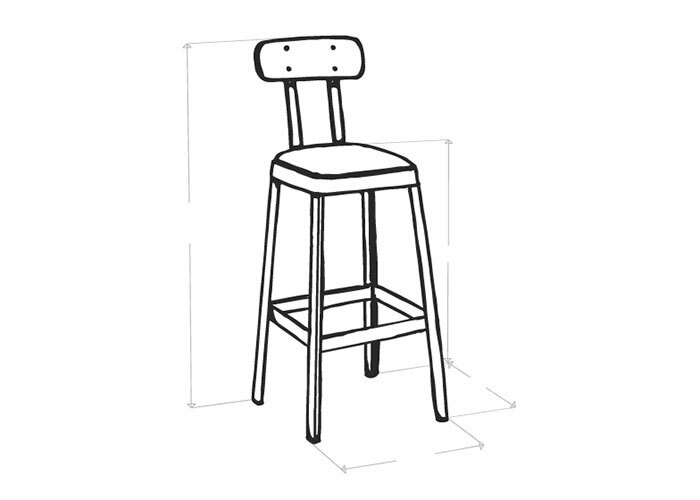 The stool is unique in that it has arms, providing extra comfort. 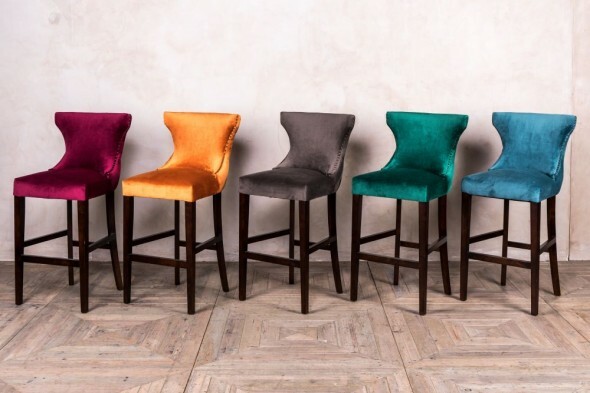 The legs of the velvet stools are dark wood. 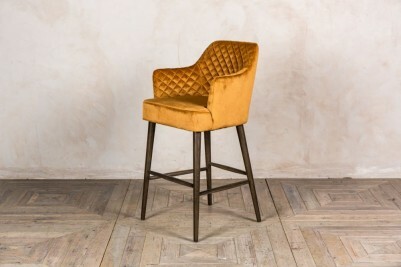 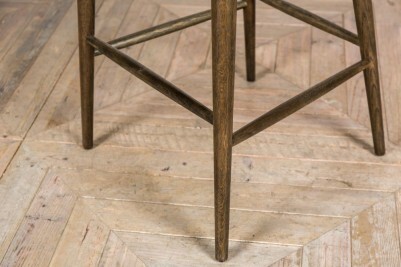 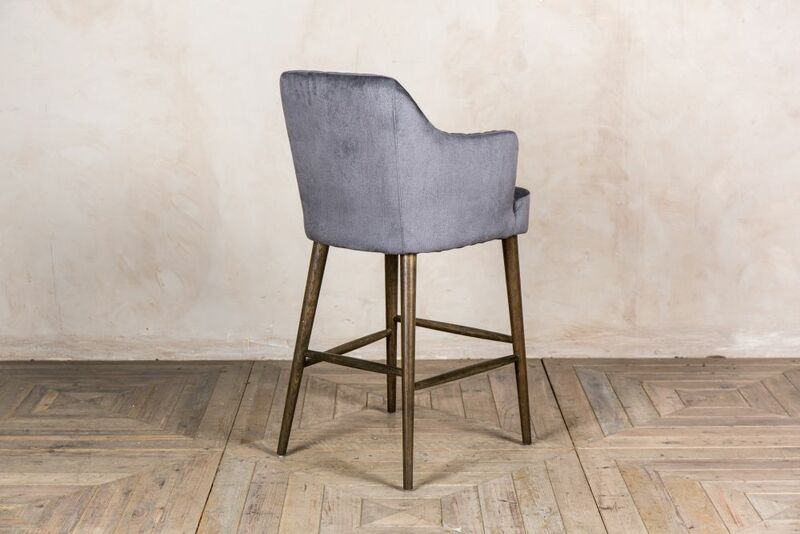 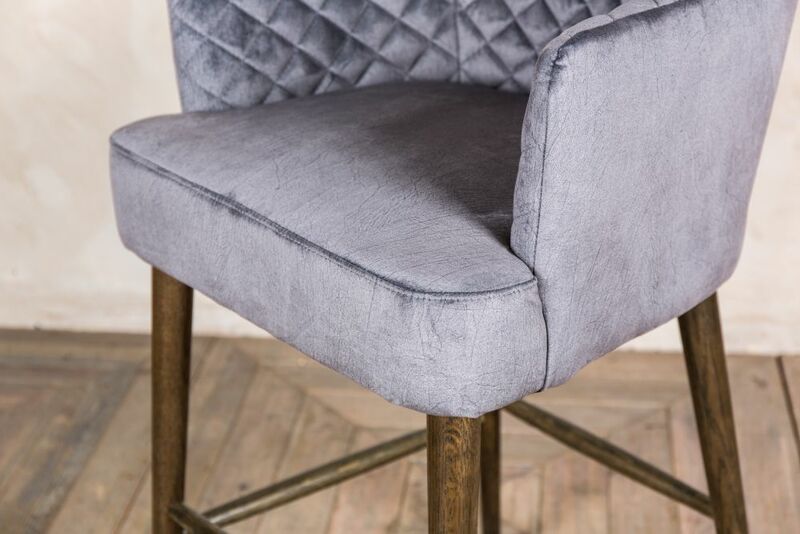 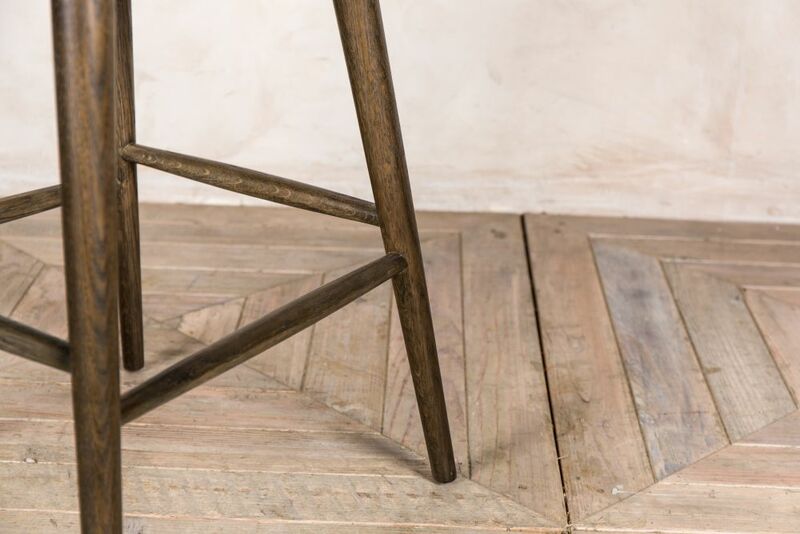 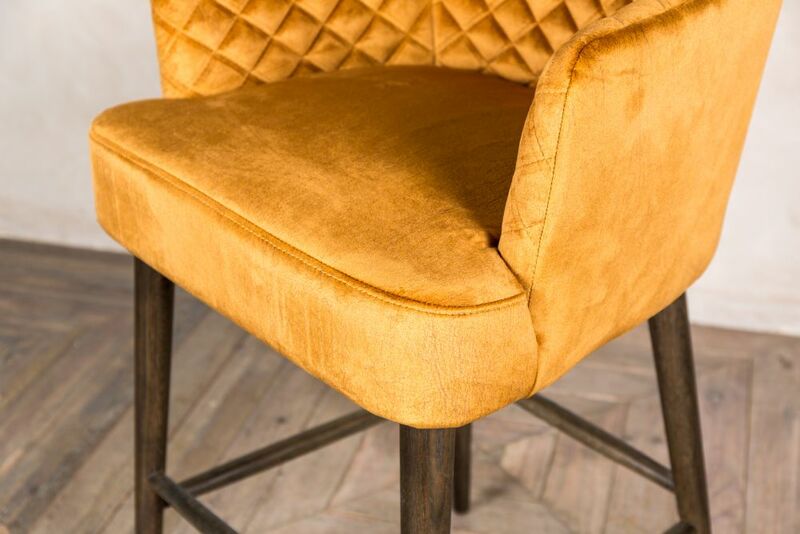 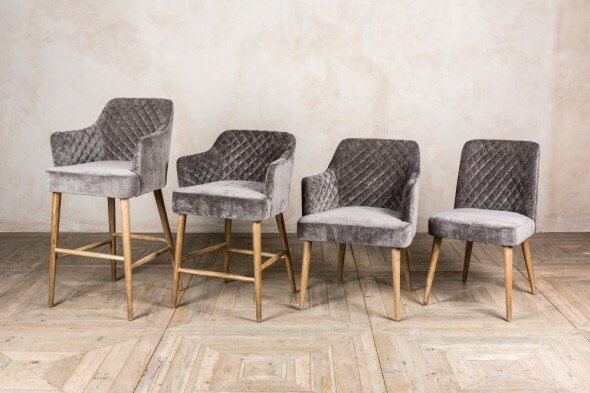 We also stock matching ‘Rouen’ bar stools, side chairs and carver chairs with chenille upholstery and blonde wood legs.